This is the ultimate guide for betting in Uganda, the companies, tips and advise, corporate responsibities and so much more. 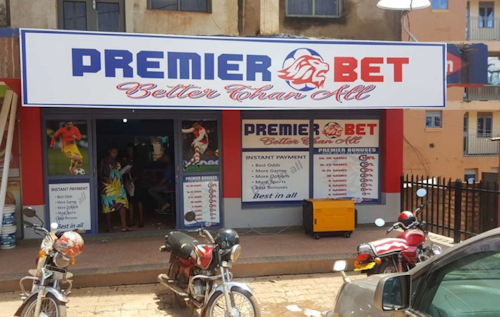 Lately in Uganda, almost every major city or town has various companies offering betting in Uganda. This is due to the fact that the betting industry has taken a major rise. The famous word of “yuza akapapula” is something you will hear every after a football match watched in Binbanda and other sports bar in Uganda. This is one of the most popular and perhaps leading bookmarker in Uganda. You will get live betting here, online sporting betting and the virtual betting option. Its offers 100% multiple bonus. 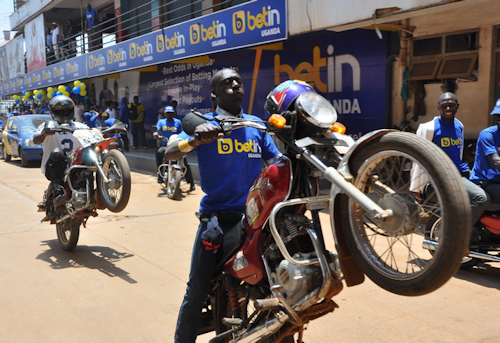 Betin can pay up to 300million shillings on any given ticket. Among the popular leagues you can bet on with Betin include Premier League, La Liga,Serie A, Bundesliga,Champions league and so much more. Payment methods include Airtel Money, Bank transfer and MTN mobile money. This company is also commited to responsible gambling in Uganda. On the international scene, Betfair is considered to be one of the largest betting website and very popular with its betting exchange. It also has the traditional way of betting and bookmarker. Currently, the amount of shillings Ugandan spend on betting ranges in millions of shillings. Almost 70% of the Ugandan youth are involved in gambling and betting. The Government of Uganda collected over 11 billion Uganda shillings ,equivalent to about US $ 3.1million in the fiscal year of 2013 to 2014. In 2016, the National Lotteries and Gaming Regulatory Board released a report that about 150billion shillings is what Ugandans spend every year on gambling alone! Currently over 40 sports betting companies are registered in Uganda. The most popular zones are Kampala, Mukono, Jinja and Entebbe. There was a proposal to increase the tax levied on betting to 15% so as to discourage Ugandans and especially the youth, but this proposal by Hon David Bahati is yet to be implemented. To be honest, you need to have money to bet. It’s all about the money and that is why its is very important for you to know how to manage your finances before you can heavily engage in betting or else you run broke. You need to have financial discipline in order for you to successful gain from betting. Do not exceed your budget or get so excited . Majority of sports lovers in Uganda watch and bet on football. The increase in the number of Digital TV subscribers to DSTV and other networks led to a rise of English Premier League watching which helped in the gaming industry. Basketball ,Rugby and boxing are also popular and the other sports include tennis, cricket, baseball and golf. Some individuals are interested in betting on almost everything. This is dangerous because it might lead you to spending more than you can earn. Please bet on the sports you know of. We have football and basketball as the most popular sports in Uganda. There is an increase in online betting due to the rise of smart phone usage. All popular betting companies in Uganda provide for an option of online gambling. You will find over 500 betting websites of which Ugandans have access to. The eligibility criteria with the current law stipulates the minimum age of 25 years. Below that, a Ugandan is not allowed to gamble. The National Lotteries and Gaming Bill of 2013 is responsible for regulating the gaming sector, following procedure and also insuing licences to betting companies. The law bans gaming facilities close to markets, churches and schools.